If you have been gardening for long, you will know that tools and gadgets soon start to take over your yard. 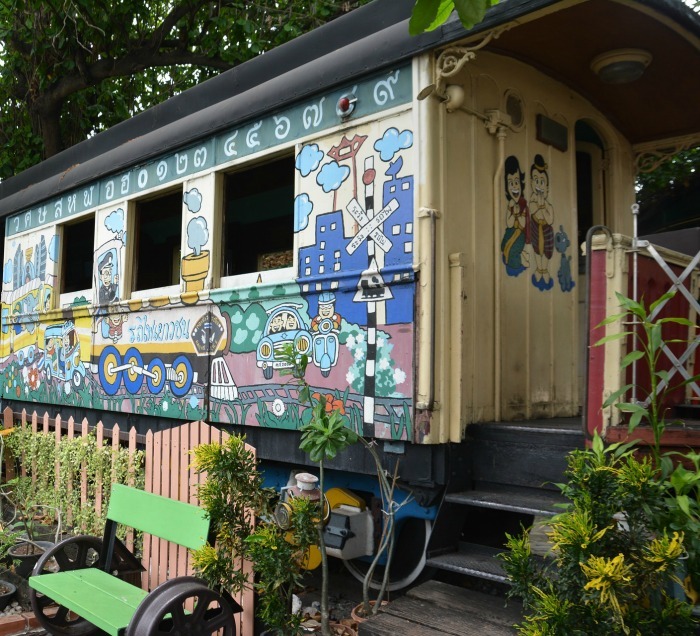 Garden Sheds have become a fixture in many back yards. But your garden shed doesn’t have to be plain and boring, as these great looking buildings will show. 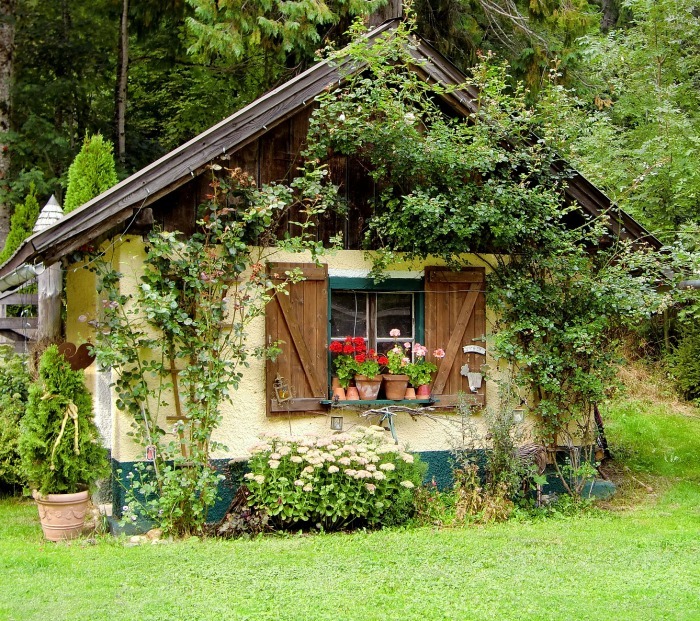 Your garden shed can be as simple or as creative as your imagination will allow. Landscape around them, go wild with colors and textures and you’ll have a back yard garden shed that will be the envy of your gardening friends. 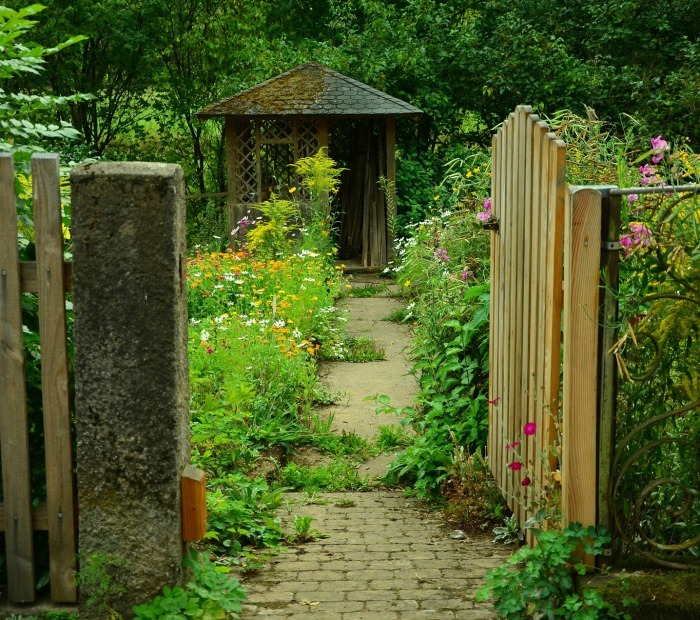 A well landscaped garden shed can extend the look of a cottage garden, or can be a focal point in your back yard. Add window boxes and pretty shutter, or hang bird feeders and wind chimes. Need some inspiration for a building for your back yard? Check out these pretty sheds. 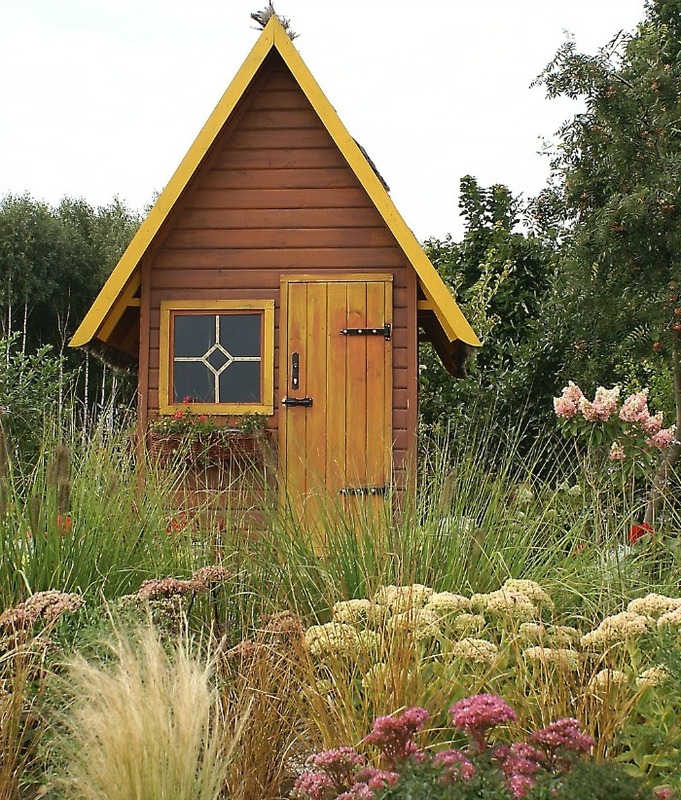 This pretty little garden shed is simple in design but the pointed roof and narrow width give it a magical appeal. The cottage garden plantings around the shed all help to add to its simple country look. I know, I know…it’s old and decrepit and just calling out for some TLC. 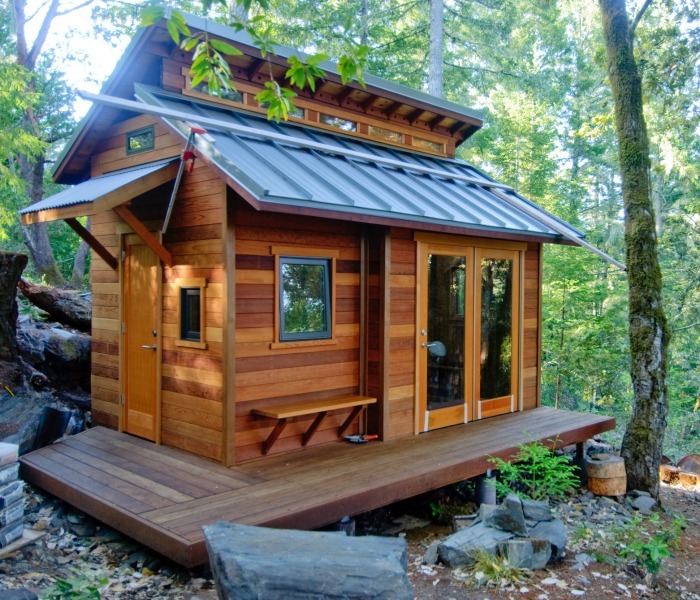 But this adorable little building would make the perfect garden shed. I love the colors already and it’s the perfect size for my tools. Who wants a DIY project? 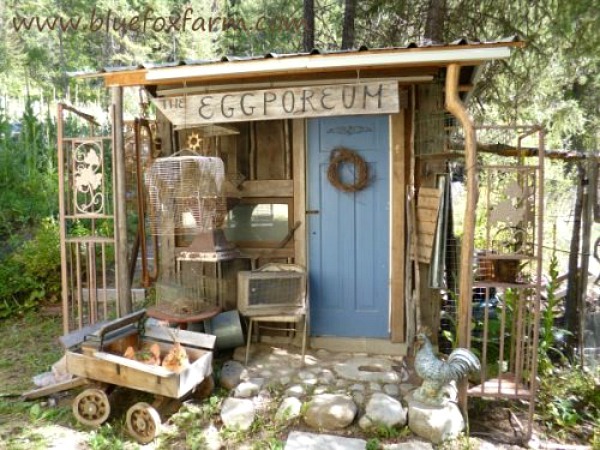 This one is lovingly called the Eggporeum. 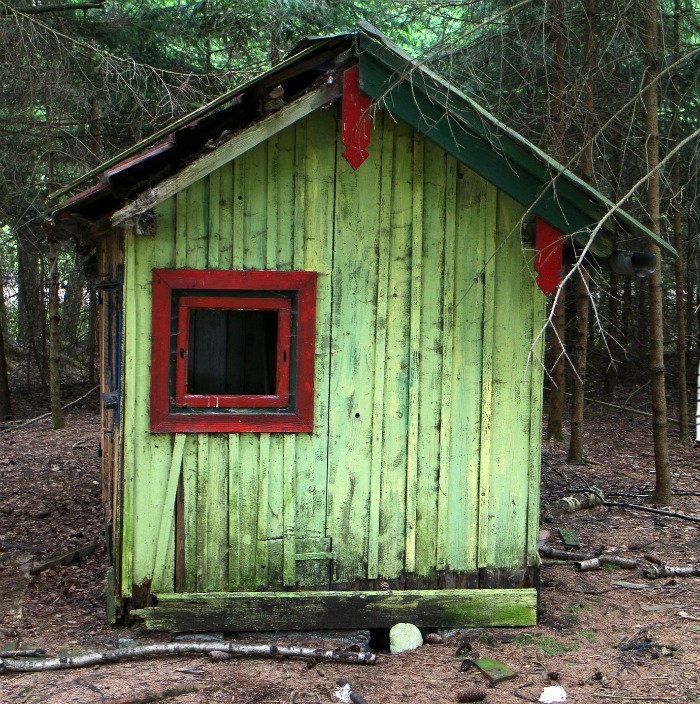 My friend Jacki has a wonderful property in Canada that is the home for this cute shed. She says that the shed started out life as a funky chicken house, but evolved into her collection of bird-o-bilia. LOVE this one! You can read more about the Eggporeum here. Some garden sheds are just beautifully designed. 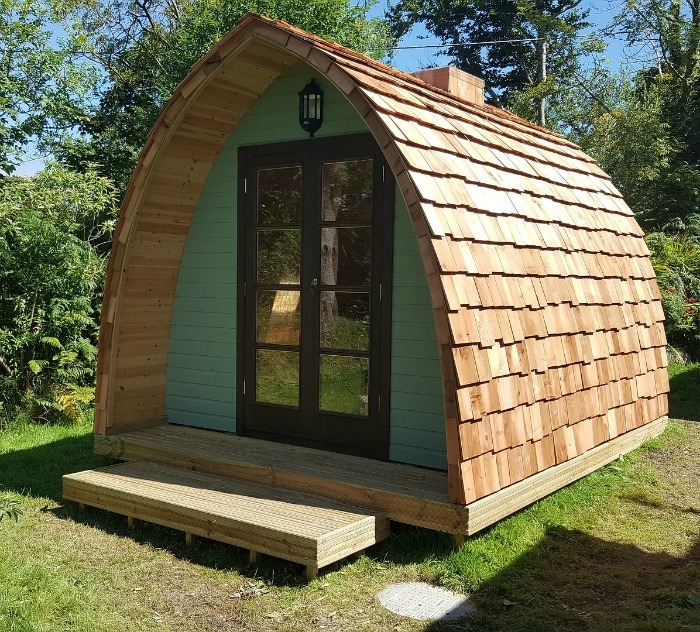 The curved roof covered with shingles makes this little building just stand out. All it needs is some landscaping around it to turn it into something really special. 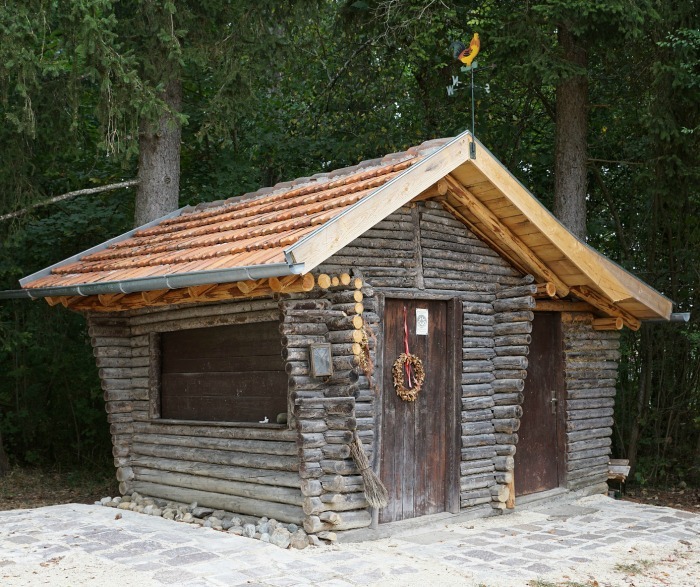 A stone base and reclaimed wood sides go perfectly with the roof of this rustic building. Now my only problem is how do I mow it? Pretty barn door style shutters and a window box give this garden shed an alpine feel. I love the way the trees seem to be a part of the building. 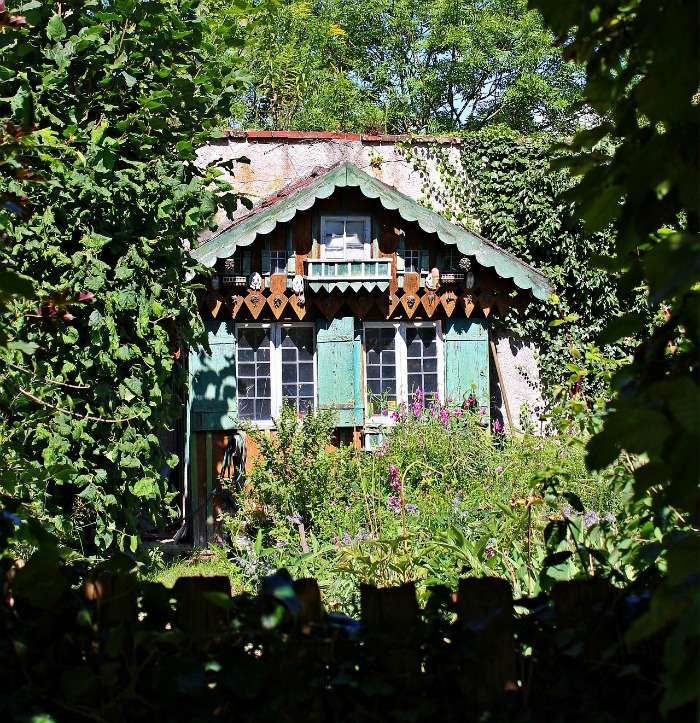 This is one of the prettiest garden sheds I have ever seen. I think it’s more the setting than the building that appeals to me, but both are amazing. This photo (source Ben Chun on Flickr) was taken by Ben on his friend’s land. The siding and deck are redwood and the trim and bench are made of cedar. This shed would be ordinary without all the extras. But adding the little seating area, boxed planters, fences and the park bench all coordinate so well with the building. 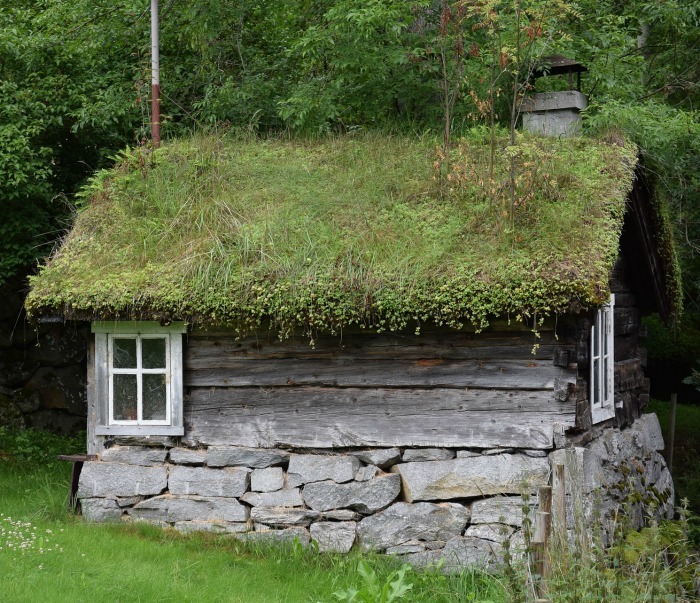 It is more like a little house than a garden shed! Log cabin style siding, a shingle roof and windmill turn this garden shed into something unique. I’d like to see some large planters on the stone hardscaping and maybe a window box on the left side. With these colors and all that scalloping, one would think we were in Scandinavia.It just needs a couple of Alpine figures in the top balcony for effect! This gazebo style building sits at the end of a long brick walkway with cottage garden borders. The stone pillars and wooden gate hide it from view when they are closed. Simple, rustic and so effective! 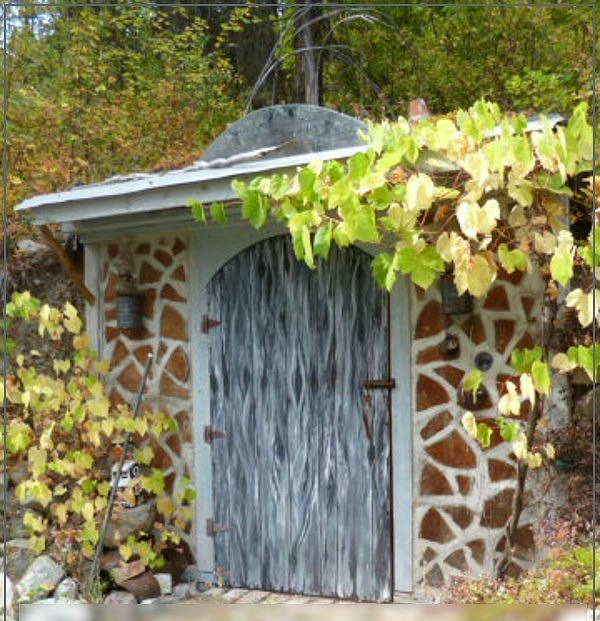 This rustic shed is actually a root cellar that Jackie, from Frill Free, uses to store vegetables at the end of the growing season. Jacki calls this building Glory Be. I just love the stone work on this. Jacki has the roof planted with succulents too! Gingerbread styling makes this one my favorite! I have saved this Gingerbread garden shed for last, but it is certainly not least. This one is my favorite! 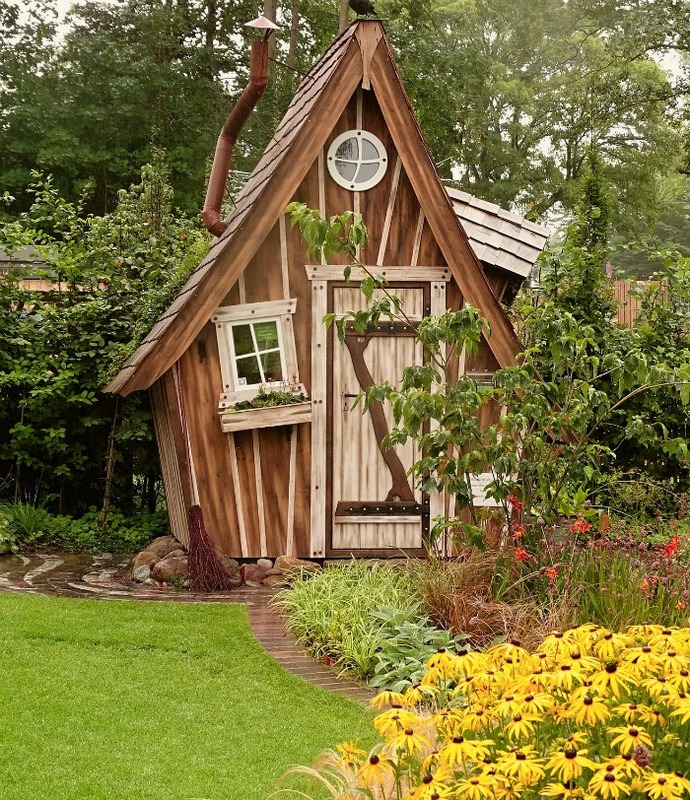 This Hansel and Gretel style garden shed brings fantasy to your back yard. I love every single thing about it, from the plantings to the odd angles and curved roof. 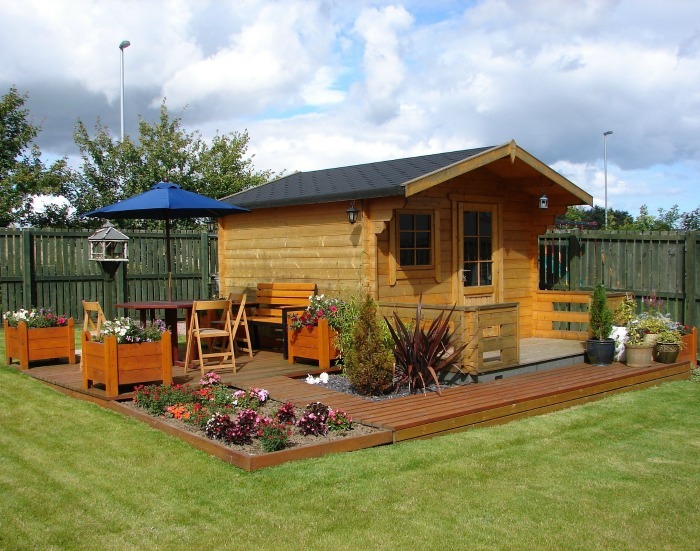 Do you have a special garden shed that you would like to share with us? Upload a photo of it to your comments and I’ll add some of my favorites to this post. Note on the images. Unless noted above, the images are public domain images from one of my favorite photo sharing sites called Pixabay. See 20 more photo sharing websites in this article. It’s good to see the woodprix has new instructions to save my money and energy to build it.